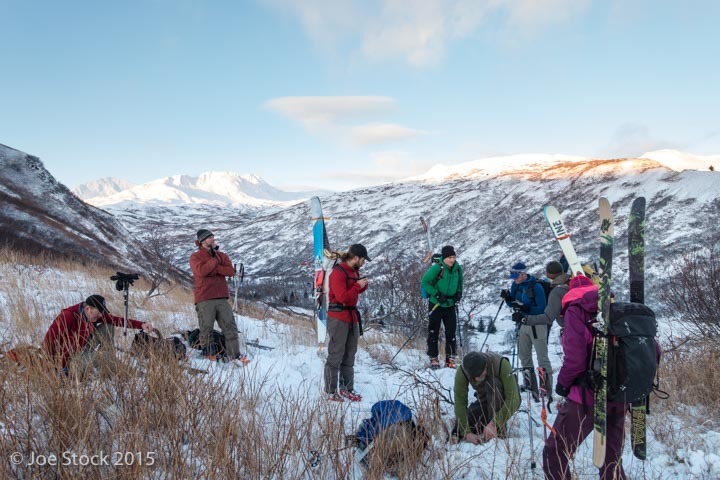 Each year the Alaska Avalanche School works with Kodiak Island Search and Rescue. This was my third time visiting Kodiak for AAS. 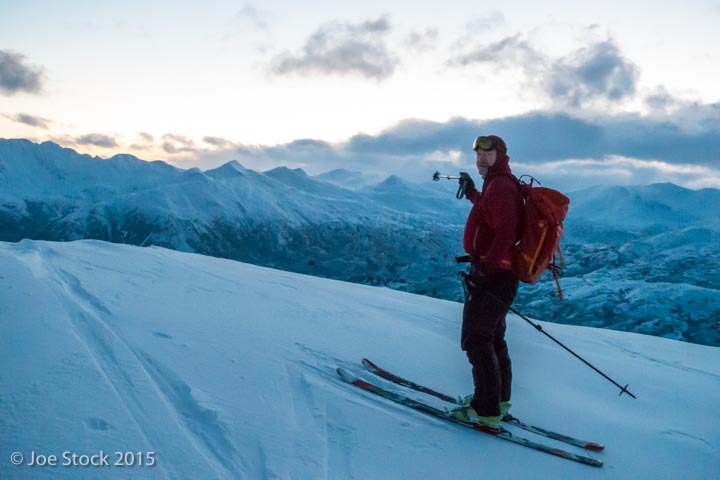 Kodiak is always interesting with the wild weather, beautiful ski terrain and colorful people. On this trip I did rope and avalanche training with KISAR and taught avalanche awareness courses in the high school and to the public. The Kenai Mountains during the one hour flight to Kodiak. Steve Wielebski met me at the airport at 3:30 in the afternoon. Forty-five minutes later we were skinning up Pyramid Mountain. Steve's pointing toward KISAR's new training hut. Then we drank beer at the Kodiak Island Brewing Company. Steve, Dicky Saltonstall and Dan Davis. 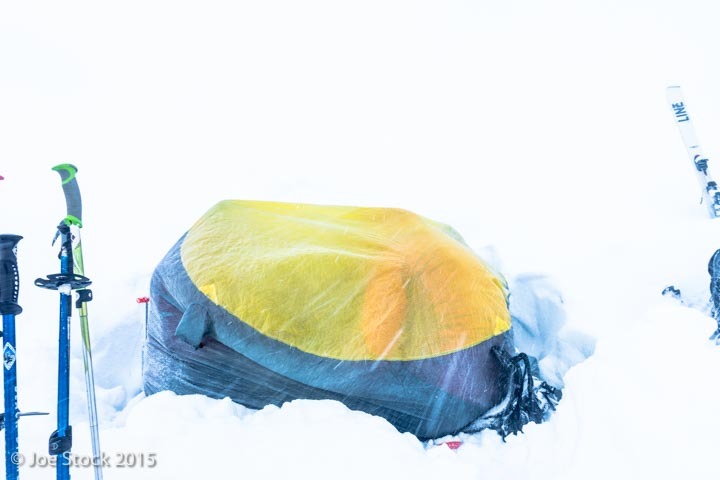 On our third day we set out for the KISAR training hut. The day started warm, clear and calm. Then it began storming. Our plan to practice decision-making was thwarted. A no-go decision is obvious when you can't see anything. Kodiak weather changes by the hour. As Andy Edgerly said, "Kodiak is like an island in the North Pacific." We set up an emergency shelter for a Kodiak picnic. And watched youtubes on the big screen. 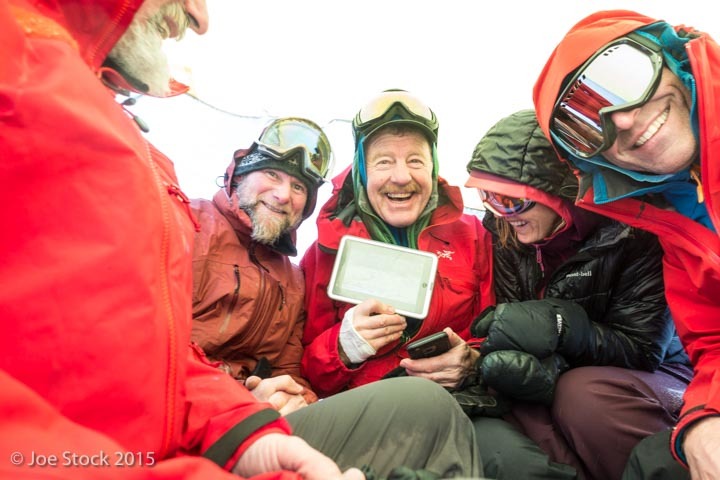 Dan Davis, Andy Edgerly, Steve Wielebski, Sharon Wielebski and Philip Tschersich. 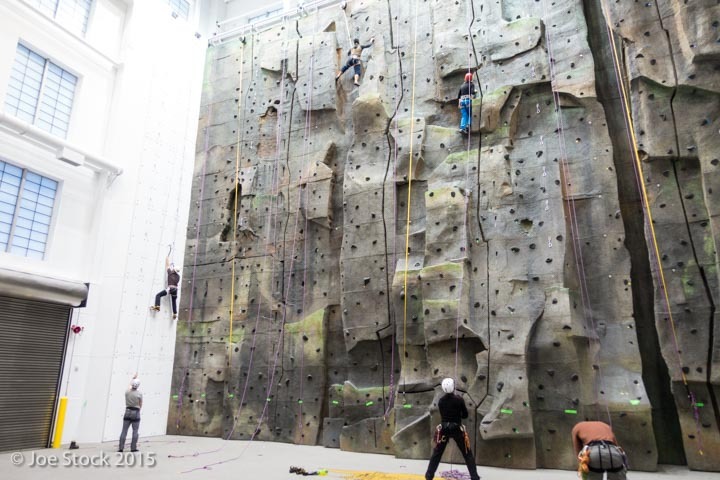 Our final day was at the brand new climbing wall at the Navy Seal training facility. They generously let KISAR use the wall for a day of rope training. 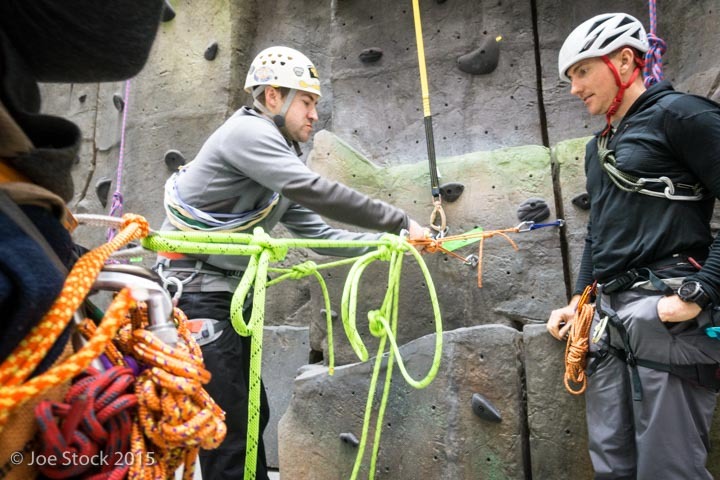 Dan Valentine, a wildlife Trooper, and Jason McGrath, a Coast Guard Swimmer, working on rope rescue skills. Then we climbed. Here's Steve having a spin on the ice climbing wall. Fifty-five feet of the same move.